Manufacturer of a wide range of products which include m series coupling, gear flex coupling, sw type coupling, rrs spacer coupling and b- flex coupling. We are successfully ranked amongst the trustworthy entities offering a wide range of M Series Coupling. The offered coupling is used in various industrial, domestic, and commercial sectors. This coupling helps in controlling the pressure as well as setting the limit of the mechanical mobility. In order to ensure that the coupling offers reliable and high durability solutions, we manufacture the coupling using cast iron and stainless steel materials under the supervision of deft professionals who adhere to industry standards during the fabrication. With the assistance of our deft team of professionals, we are able to introduce a broad array of Gear Flex Coupling. 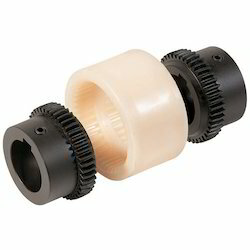 The given couplings for gear are high positioned held by the upper flanges for opening and closing functionality. These seamless couplings are tightened between the inlet and outlet rings. The couplings are considered among the most reliable and strong positively assured parts available in the industry. Additionally, the couplings are manufactured adhering to industry standards and using innovative techniques. Leveraging on our in-house production unit, we are presenting a wide assortment of SW Type Coupling. The provided coupling is seatless tightness equipment that obtains a cylindrically shaped burnished piston, connected to a spindle, and operated by a hand wheel. The coupling is separated by two sealing rings ported by a space. The bottom ring rests and upper ring packs on a Cast-machined groove of the body. 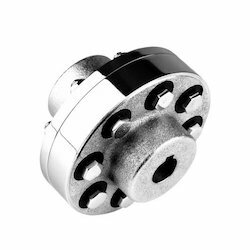 In addition, the coupling is manufactured using quality stainless steel metal and adhering to OEM and ODM industry standards. We at-Techno Tyre are one of the leading manufacturers of jaw flex couplings such as:RRS Spacer Coupling. Such couplings are manufactured with high precision and utmost technological advancement, the products are also scrutinized with high technical parameters to satisfy international standards. The products provide high resistance to any torsional/axial and angular misalignment. Our motto is to provide customers with technologically advanced products to meet the ever growing requirements of industrial procedure. We have a wide spectrum of products to cater various needs of the industry. As one of the leading entity of this domain, we are engrossed in providing supreme quality B-Flex Couplings. The offered couplings provide the comfort of flange, elbow, screw nut, screw bolt, pipe fitting, impeller, coupling, and pump parts. 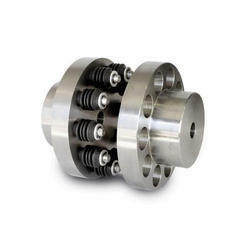 The couplings are manufactured using stainless steel materials adhering to industry standards. Our professionals also ensure to provide progressive technology and incredible techniques in the vale for its reliable and durable performance. 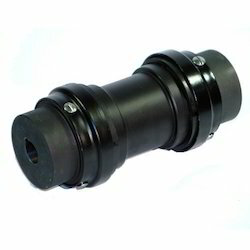 Apart from it, clients can provide their specific custom requirements for the check couplings.